So yes I make cookies all the time (really…at least 1-2 times per week), but it’s been a long time since I’ve posted about the good old chocolate chip cookie. Like the brownie, the chocolate chip cookie is just one of those items that is a baker’s delight to play with since so many varieties can be made. 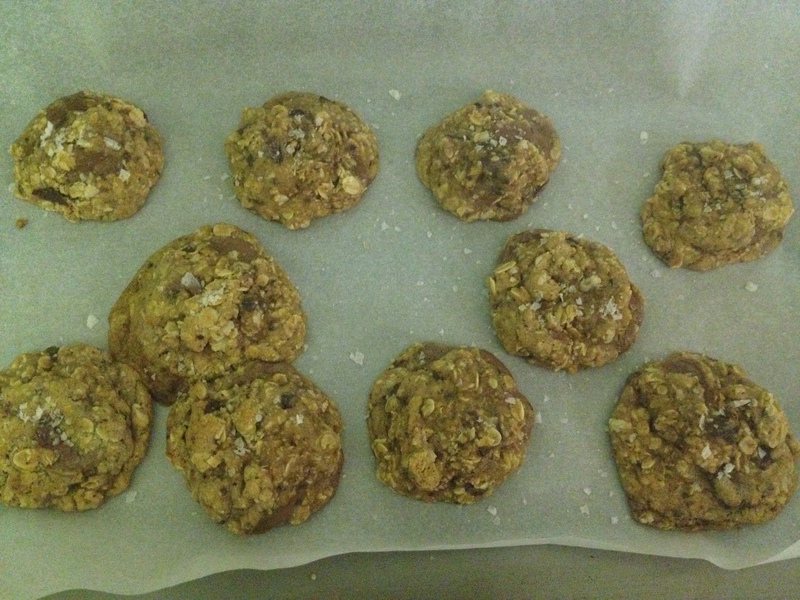 I love adding sea salt to cookies so when I spotted this recipe on a fellow Dukie’s blog I knew I needed to try it. 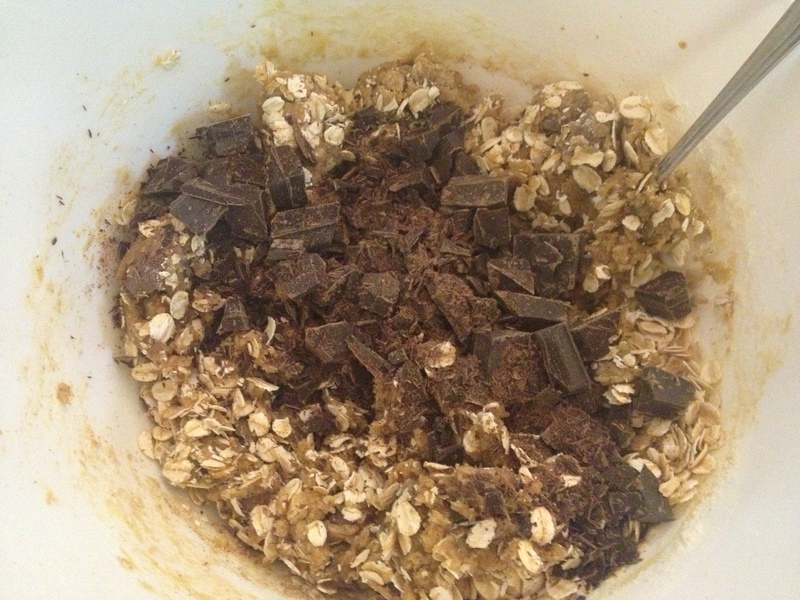 I also love oats with my chocolate so this recipe combined a few of my favourite things. The addition of the cinnamon and nutmeg also makes them smell extra good while baking, and the added step of having to refrigerate the dough for a couple days makes the flavours settle in even more. 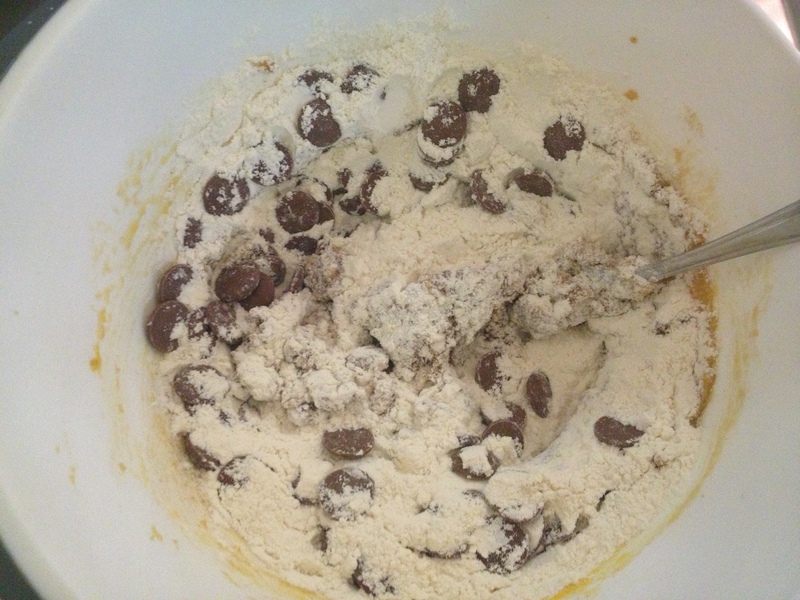 I know it seems torturous, but think of it this way – make the dough on a Sunday evening and then bake a mid-week treat. Really, refrigerating the dough makes the final product taste much better in my opinion which is why I put almost every single cookie dough I make in the fridge for at least 24 hours first (after tasting it of course). This is no harder to make than the typical chocolate chip cookie recipe but it just smells and tastes far more sophisticated, so give it a try! Cream the butter and both sugars together until smooth. Add the egg and vanilla and beat until combined. 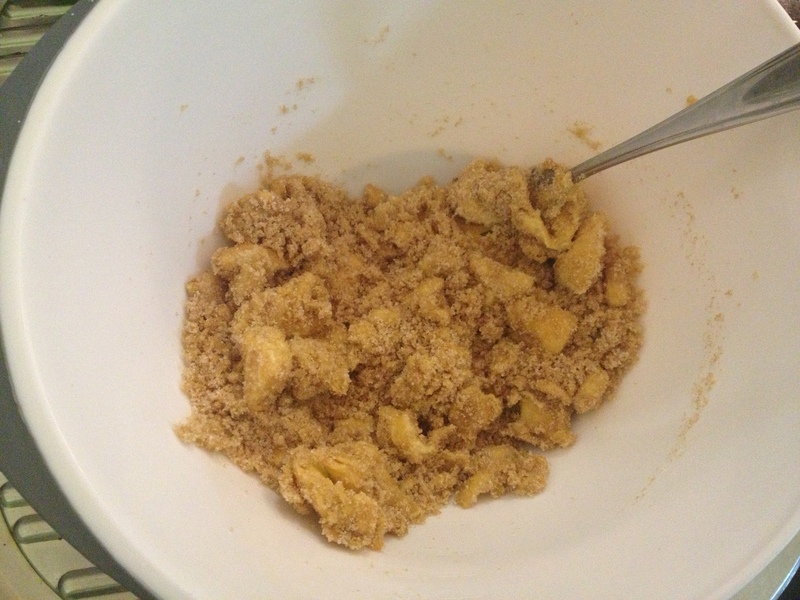 Then add the spices and baking soda, followed by the flour. Finally, add in the chocolate pieces and oats. Once the dough has come together, put it in the fridge and let it settle there for at least 24 hours and preferably 2 days. After 10-11 minutes total, remove from the oven – they should be nicely golden brown. Allow to cool for a minute or so on the pan if you can before sampling and cool completely before storing in an airtight container. 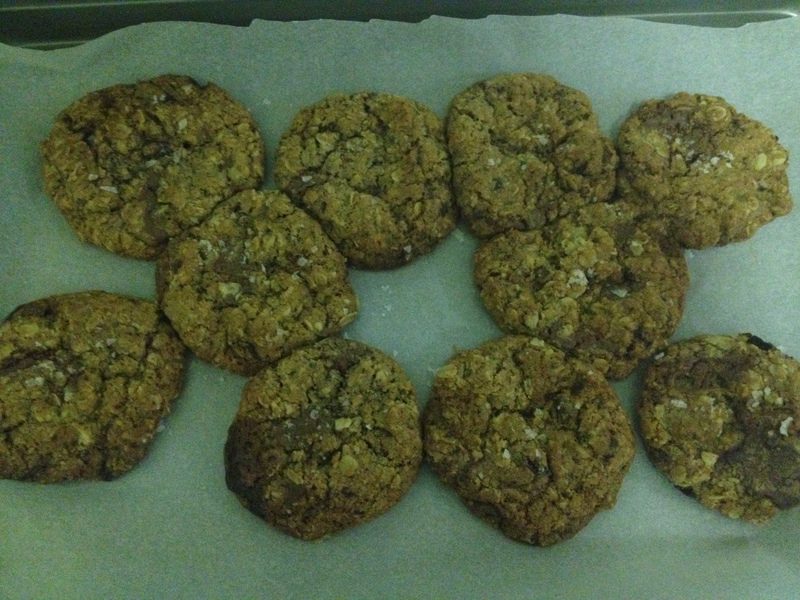 As with most cookies though, these are of course best eaten when warm. This is such a lovely elevated version of the classic chocolate chip cookie. As with any cookie, the better quality ingredients you use, the better it will be so make sure to use extra delicious chocolate in this one. And check out Emily’s blog for other awesome recipes with ridiculously elegant food photography.